In patients with hormone receptor (HR)-positive, locally advanced or metastatic breast cancer, treatment with fulvestrant (Faslodex) demonstrated superiority over anastrozole (Arimidex) in achieving extended progression-free survival, according to a recent press release from AstraZeneca. This information comes from the primary end point results of the randomized, double-blind, phase 3 FALCON (Fulvestrant and Anastrozole Compared in Hormonal Therapy Naïve Advanced Breast Cancer) trial, which is an ongoing study comparing the effects of fulvestrant 500 mg and anastrozole 1 mg on disease progression in women with HR-positive locally advanced or metastatic breast cancer who have not received previous hormonal treatment. The adverse event profile was largely consistent with the current safety profile of these drugs. Currently, aromatase inhibitors (eg, anastrozole) are standard of care for this patient population. “The FALCON results bring us closer to offering more and earlier treatment options to postmenopausal women with HR-positive locally advanced or metastatic breast cancer; the potential to delay disease progression is important for these patients as there is currently no cure,” stated Sean Bohen, MD, PhD, Chief Medical Officer, AstraZeneca, in the press release. A full evaluation of FALCON trial data is still being conducted, with results expected to be presented later in 2016. 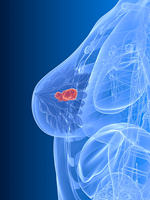 Source: AstraZeneca’s Faslodex Met Primary Endpoint in First-Line Treatment of Advanced Breast Cancer [news release]. London, United Kingdom: AstraZeneca; May 27, 2016. www.astrazeneca.com/media-centre/press-releases/ 2016/astrazenecas-faslodex-met-primary-endpoint-in-first-line-treatment-of-advanced-breast-cancer.html. Accessed June 1, 2016.